From San Amvrosia Health Foods, Tottenham, London. 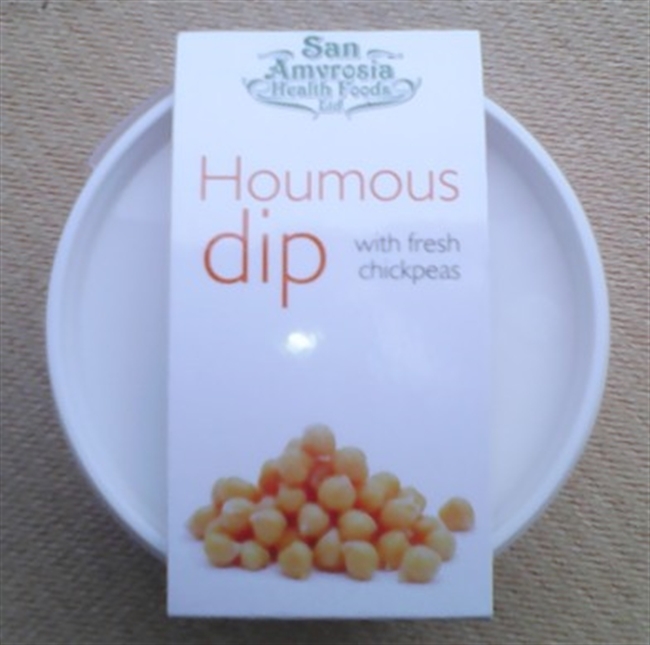 Delicious fresh creamy houmous. Contains no artificial additives or preservatives. A high quality health food.